Here are a few of the most popular types of lenses that you can use to better capture all your favorite scenes. Wide Angle Lenses: Wide-angle lenses are characterized for having a focal length smaller than or equal to 50mm. They offer the photographer a wide field of view, allowing a big portion of a scene to be photographed. Amongst wide-angle lenses, those that are smaller than 20mm are denominated as ultra-wide. In cases where you find yourself too close to the subject to photograph it in its entirety, a wide angle lens would allow you to get the whole subject without having to move your position or that of the subject. In addition, when composing an image with several layers of objects that expand into the distance, capturing the whole scene in one shot can only be made possible with a wide-angle lens. 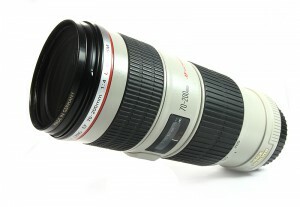 Telephoto Lenses: These types of lenses are restricted to focal lengths longer than 60mm. They can be over 180mm long, where a lens of this magnitude can simplify a long-distance shot without having to alter your position in relation to the subject. Telephoto lenses offer a compressed perspective of objects in a plane. With the use of this type of lens, objects appear closer together than how they are seen by the naked eye. Because of this aspect of telephoto lenses, they are commonly used to comprise compound landscape images where graphic elements are compressed, giving rise to a combination of lines and natural elements that would otherwise be invisible to plain sight. Another important feature of this lens type is that telephoto lenses are known for focusing on one single subject, making it easy to blur off distant elements that you wish to leave out of the photograph. Zoom Lenses: A zoom lens is comprised of a special mechanism that allows for a spectrum, or range, of diverse focal lengths. Amongst zoom lenses, one-touch zooms are designed with one individual control both for zooming and focusing on a subject. Two-touch zooms operate with two independent controls, one for focusing and one zooming.